Tony Wright demonstrates how you can make a tiny steam plant that fits on a tea coaster, inspiring wonder and admiration from your tea time visitors. Martin Ranson makes a gas tank for his FALCOR locomotive and discusses the subtleties of filler valves. 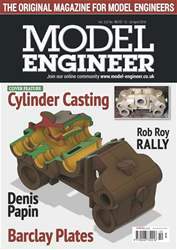 Peter Worden continues his occasional series, describing the base ‘platform’ of his miniature ‘FOCAS’ petrol engine and explains how he avoided having to use an oil seal for the crankshaft. Graham Sadler describes how to make the adjustment screws for the dieholders made last time and discusses the processes of hardening and tempering. David Earnshaw bores out the main body of his Coventry diehead attachment and goes on to profile the body and add the slots. 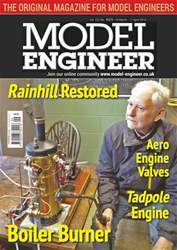 Stephen Wessel discusses the design of the third scale Zenith carburettor for his ENV aero engine. 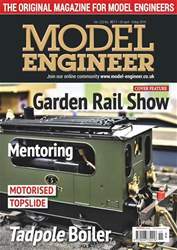 Alan Barnes talks to Mick Harrington about the building of his six inch scale Burrell traction engine and the overhaul of a four inch Fowler showman’s road locomotive. Canon Roger Davis converts his Warco WM18 milling machine to CNC operation. 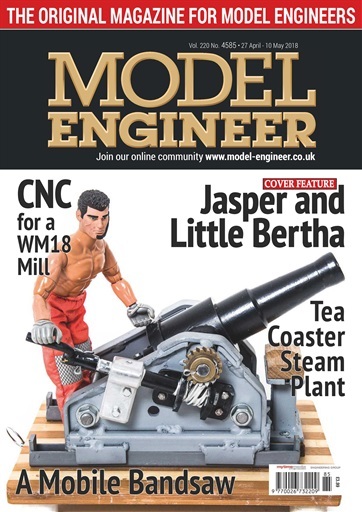 James Wells wanted a book end but decided to make it a little out of the ordinary; the end result appears on our front cover.